For 32 years, WMRA presented the best in blues Saturday nights with the Professah and Blues Valley. After a two-year hiatus, the Professah is back tomorrow night (Saturday, January 5, 2019). 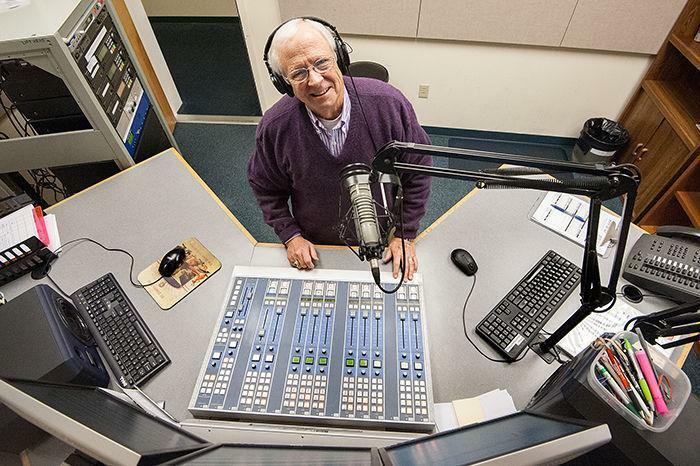 WMRA’s Chris Boros spoke with the blues master about his return to the airwaves. WMRA: Why did you leave and why are you back? The Professah: Well, 32 years behind the mic, longer than I worked as a university professor, and I thought at the time, 32 – it’s a nice number – let’s just part ways and everything will be alright. But I couldn’t go anywhere without someone saying something to me about missing Blues Valley. And I appreciated that. The response from folks - even late during the two-year segment – was still commenting to me about it. At home, down in my computer room I would listen to blues while I did my computer stuff. Sometimes I would just have to get out of my chair and dance around the room by myself to a blues tune that moved me and it really made me think why am I not sharing this music again. WMRA: So you missed it. Professah: I really did. It’s like the proverbial well in water. And also I thought about the friendships that developed with callers during that 32 year period. A special group of guys at Buckingham Correctional Facility – they don’t get much. Saturday night was a special night based on the letters I would get from them. WMRA: There is something special about music. When you meet someone who is into the same type of music as you, there is this instant connection. Do you feel that way with the blues? Professah: Definitely and people who like the blues are great people. WMRA: What is it about the blues? Do you remember the first blues song that changed your life? Professah: Jimmy Reed. His was the first three albums I bought in high school. I heard “Baby, What You Want Me to Do” and that was it. And I listened to it on the radio when I was in high school coming out of Nashville, TN - Randy’s Record Shop. WMRA: Was that rare for a kid from Nashville listening to the blues? Were your friends all listening to country? Professah: I grew up with R&B and Jimmy Reed was really the one blues man that I have harkened back in saying: Jimmy, you’re the reason I’ve been doing this for this long. WMRA: Over those 32 years doing Blues Valley, is there a memorable moment you remember doing the show? Professah: It was not doing the show so much as it was receiving a letter that said: Dear Professah, I’m listening to your show and I listen every night till one o’clock in the morning. And I’m 81 years old. That is Mrs. B and longtime listeners will be familiar with her. She was a church organist and at Midnight on just about every Saturday night, I would play an organ piece for Mrs. B.
WMRA: So your most memorable moment had to do with a listener. Professah: Yes. She was a special person. And even when she moved to Bridgewater Home, before she died, I had a chance to visit her several times. People who love the blues and listen to Blues Valley are just special folks to me. WMRA: So you’re back tomorrow night, what can we expect? Professah: A special treat on this beginning of year 33. When you think of music and you think of 33, you think of LPs. Blues Valley started with two turntables and a microphone. And this show is from the music library that I used in 1985 when I started. WMRA: You’re excited to get back at it, I can tell. Professah: I am. I am looking forward to it. I’m selecting my music and it’s going to be three hours of nostalgia and good times and good blues. The son of Ruby Dee and the late Ossie Davis, Guy Davis initially followed in his famous parents' footsteps. 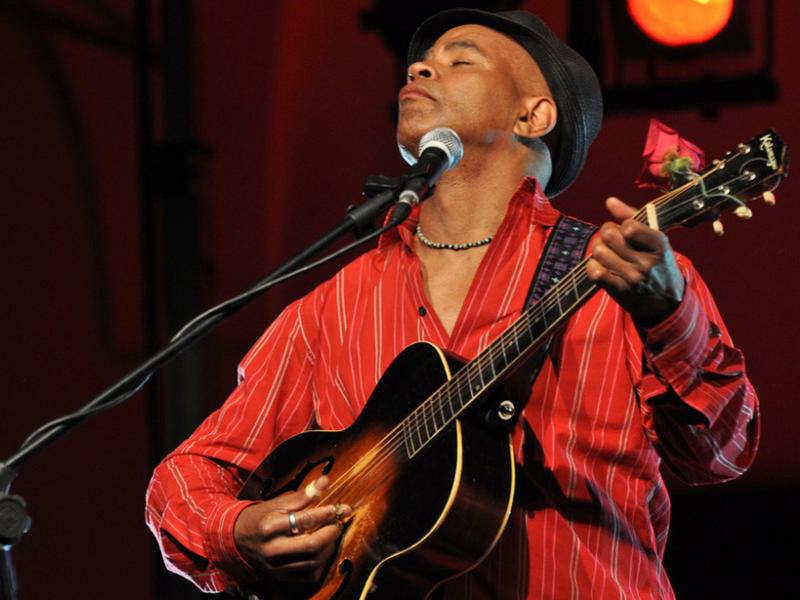 But then he discovered the blues in college, and now travels the world performing in places untouched by the genre, from Greenland to the Galapagos Islands. Known as "The Ambassador of the Blues," Davis talks with NPR's John Donvan about his new album, The Adventures of Fishy Waters: In Bed With the Blues, and his passion for blues music. -- SOLD OUT -- WMRA and Clementine Café present 30 Years of Blues Valley with The Professah! There's nothing a certain type of record collector likes better than finding a stack of 78s on the Paramount label. Between 1917 and 1932, the label, which was one of several run by a furniture company in Grafton, Wisc., released thousands of records, but its real accomplishment was recording some of the greatest early blues and jazz performers.